At a time when IT departments are being challenged to reduce the cost and footprint of infrastructure and maintenance, many organizations are looking for opportunities to migrate workloads to the cloud. Cloud migration is a proven strategy for minimizing the long-term capital costs of upgrading on-premises server platforms. In addition, cloud platforms can provide improved flexibility and scalability while still delivering the ability to develop, test and host line-of-business applications. Our cloud assessment process will help you identify and prioritize which applications can be easily migrated, which may need to be redesigned or replaced, and which are better off remaining in house. The process involves assessing every application across multiple characteristics, including cloud objectives, technical feasibility and risk. We have specific expertise in helping customers leverage the Microsoft Azure cloud computing platform, a particularly attractive alternative for organizations looking to migrate from older Windows Server technologies. 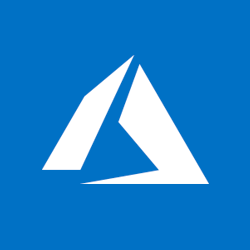 Our expertise with Microsoft’s migration suite can help you simplify conversion of legacy Windows server applications to run on the Azure platform. INTERESTED IN A CLOUD MIGRATION CONSULTATION? GET CONNECTED.